Families with young children comprise the fastest growing segment of Congregation Emeth’s membership. By providing family-oriented holiday programs throughout the year, Emeth introduces children to the richness of their Jewish heritage and demonstrates how the Jewish community celebrates holidays. Several times a year, prior to an upcoming Jewish holiday, Emeth provides special Friday afternoon programming for preschoolers. The program usually consists of a craft, a food associated with the holiday, story time, singing and dancing, and Shabbat blessings. For information about upcoming Tot Shabbats, please contact our Membership Chair at membership@emeth.net. Emeth offers special programs for children during the High Holiday season. On the first day of Rosh Hashanah, children from age 3 through Grade 3 can participate in a morning program that includes stories, songs, crafts, and a snack. 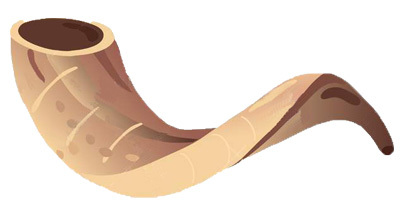 A similar program occurs on Yom Kippur morning, with the children later joining their parents to witness the blowing of the shofar. Members of Emeth, assisted by Jewish Studies students, build and decorate a sukkah behind the synagogue before Sukkot. They also set up tables inside the sukkah so that members can dine there during the eight-day festival. On the Friday night during Sukkot, Emeth members enjoy a potluck dinner in the sukkah. Rabbi Israel explains the festival and, with a cantorial soloist, leads members in celebration. Simchat Torah, which immediately follows Sukkot, celebrates the end of the annual cycle of Torah readings and the start of a new cycle. At Emeth, the Torah is removed from the ark and completely unrolled in front of everyone who attends the service. Congregants then dance around the room and sing with the Torah. The scroll is then rolled back onto its wooden shafts and returned to the ark. During Chanukah, Congregation Emeth celebrates in the social hall, sanctuary, and downtown Morgan Hill. Families share a potluck dinner in the social hall on the Friday night during Chanukah. Afterward, everyone brings their chamukiah to the front of the sanctuary and lights the candles. On another night during the eight-day holiday, Congregation Emeth holds a community celebration with a candle lighting ceremony in downtown Morgan Hill. Rabbi Israel leads the event. Emeth’s Jewish Studies students, led by a cantorial soloist, sing for the community. Tu BiShvat, the holiday celebrating the birth of the trees, is observed at Congregation Emeth with a Seder potluck followed by an Erev Shabbat service. The potluck and service occur on the Friday preceding the 15th of Shevat. Emeth members are encouraged to bring dishes that incorporates fruit or nuts from trees. For Purim, Congregation Emeth’s teens organize and run a carnival and barbecue as a fundraiser. This is followed by a “Friday Night Live” Shabbat service and Purim observance. One of Congregation Emeth’s most popular events for families is the traditional community Seder, held on the second night of Passover. Members contribute the food that is served during the dinner portion of the Seder. Erev Shabbat community dinners, held approximately twice a month during the school year, enhance our sense of Emeth as an extended family. 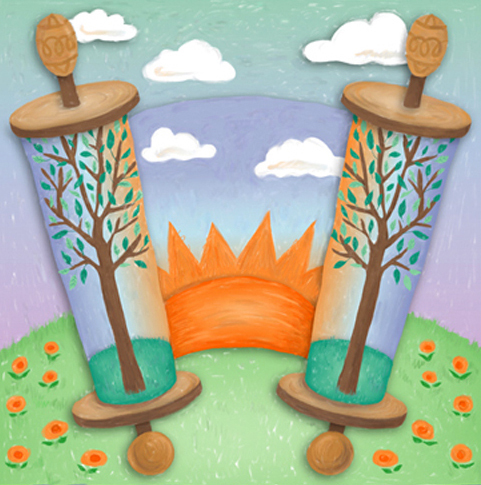 The rituals at these community dinners and the services that follow provide opportunities for children and their parents to learn about the traditions of Shabbat. Twice a month, Congregation Emeth holds “Shabbat Short ‘n Sweet” as part of the Religious School curriculum. This informal Erev Shabbat service provides students with the opportunity to learn the meaning of the prayers and discuss the Torah portion of the week. The service is led by Rabbi Israel and is appropriate for children of all ages as well as for adults. Every year in May, Congregation Emeth heads to Mt. Madonna County Park for “Shabbat in the Redwoods.” The park, dominated by a redwood forest, lies to the west of Gilroy in the Santa Cruz Mountain range. This springtime event typically features a morning service, a guest speaker, and then a picnic lunch. In addition to holding family-oriented holiday programs and Shabbat services, Congregation Emeth participates in the PJ Library program sponsored by the Jewish Federation of Silicon Valley. The program assists young Jewish families in developing a positive Jewish identity and connection with their local Jewish community. Children whose parent or guardian enrolls them in the PJ Library program receive monthly mailings of free Jewish children’s books and CDs. Go to PJ Library for more information. 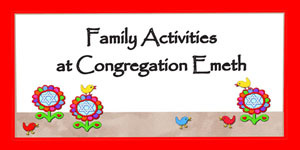 Please check Congregation Emeth’s online calendar for the dates of upcoming family-oriented programs.